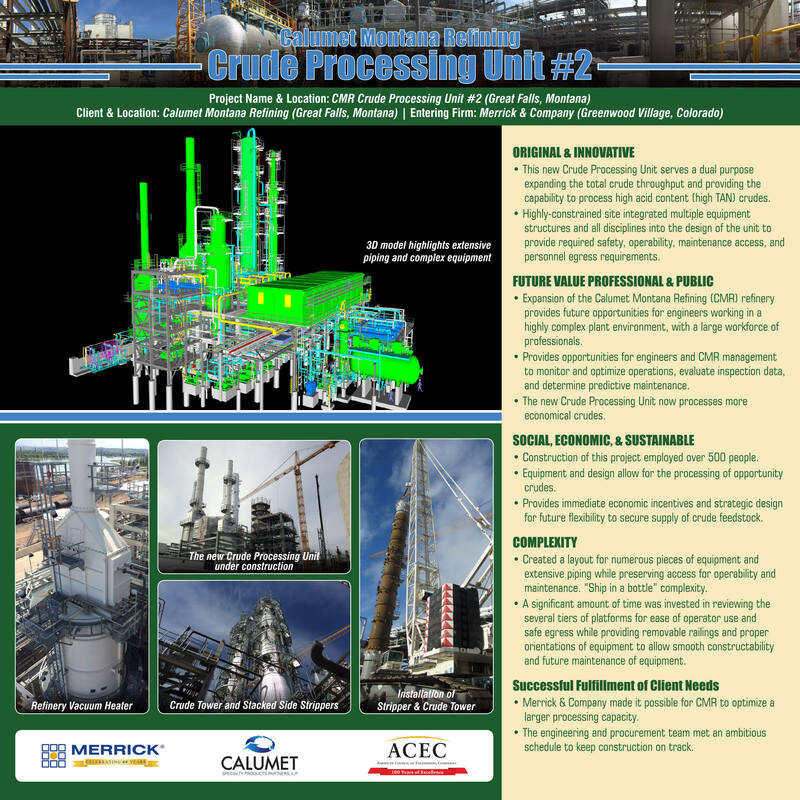 The Calumet Montana Refining (CMR) Crude Unit #2 retrofit expanded CMR’s crude oil refinery from 9,800 barrels per stream day (BPSD) capacity to approximately 20,000 BPSD, with future allowances for achieving 30,000 BPSD. CMR’s new crude processing unit also provides capability to process heavy, sour, and high acid content (known as high TAN) crudes. Processing high TAN crudes can be particularly challenging because it results in accelerated corrosion unit at typical operating temperatures. 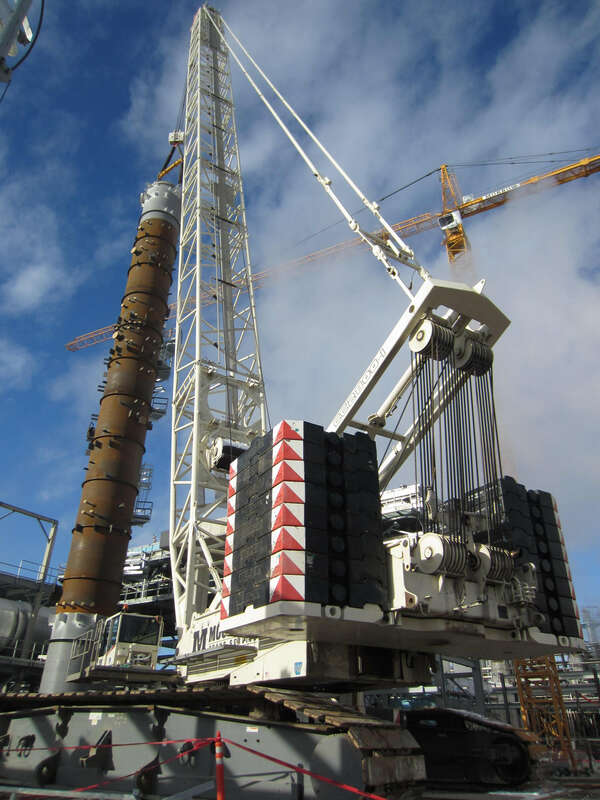 Merrick evaluated each section of piping and equipment at the process conditions to provide recommendations for upgraded metallurgy to achieve the optimum balance between long-term material integrity and installed cost of the unit. 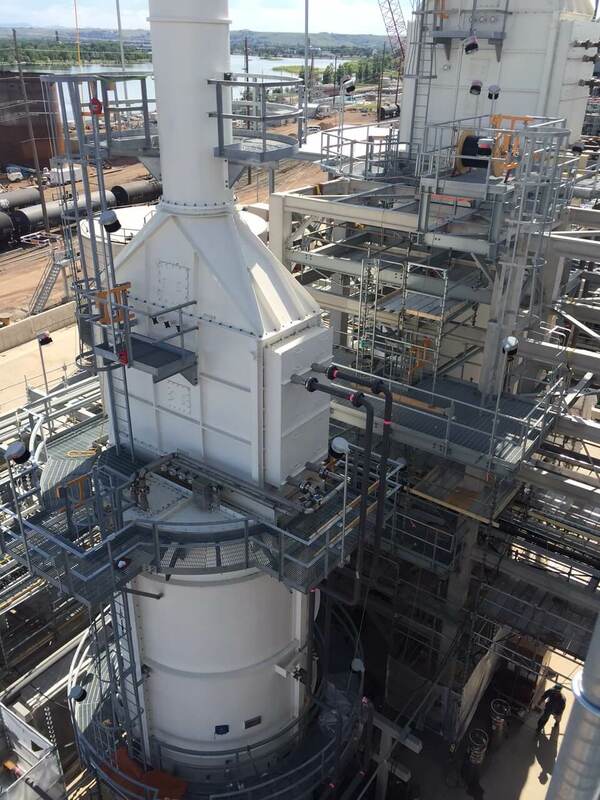 Another challenge of the project was creating a layout for numerous pieces of equipment and extensive piping in a limited space, while preserving access for operability and maintenance. The Merrick team described it as “Ship-in-a-bottle” complexity. To address this, Merrick performed extensive reviews on several tiers/platforms for ease of operator use and proper egress, while providing removable railings and proper orientations of equipment to allow smooth constructability and future maintenance of equipment. Structures were interconnected to facilitate ease of equipment access and use available space vertically. During front end engineering, Merrick worked in parallel with the process engineering firm to complete P&IDs, line sizing, equipment specifications, and general arrangement drawings. 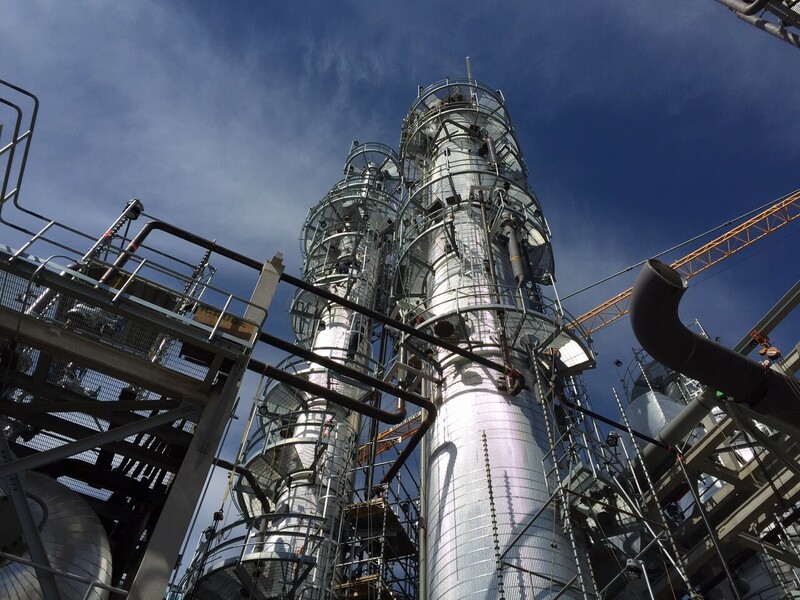 Merrick also supported the Process Safety Management Hazard and Operability (PSM HAZOP) analysis and completed equipment procurement packages for all long lead equipment. 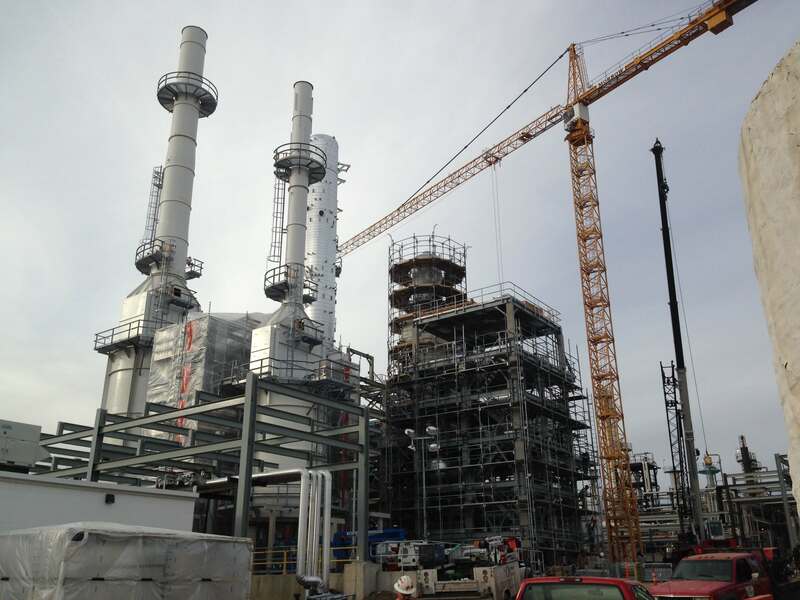 For detail design, Merrick completed all detail design engineering, include foundations for approximately 50 equipment services, including crude column, vacuum column, and three stacked side strippers. Merrick also completed designs for firewater, stormwater, and process sewers servicing all equipment, as well as structural steel design for two pipe racks and four major equipment structures. Merrick also performed piping design and isometrics for more than 400 lines and electrical design for more than 40 motors, area lighting, and grounding. Merrick supported CMR with procurement services, including expediting equipment; vendor coordination; review of all vendor data; management of shop inspections and inspection reports; and shipping coordination. In addition, Merrick continued to support the project through construction with timely responses to construction RFIs, material submittals, and coordination questions.